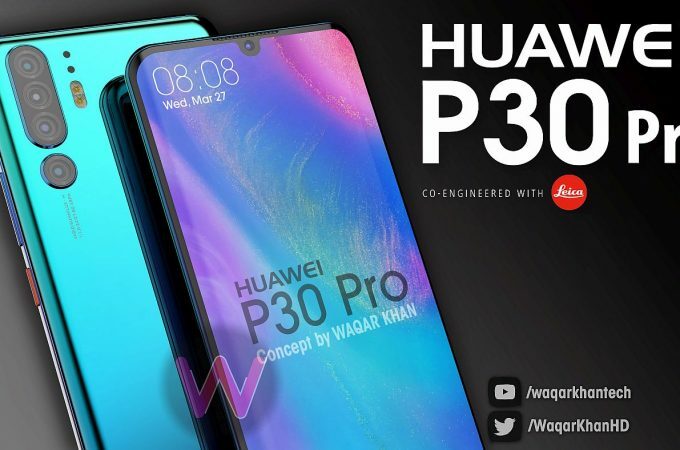 After a few case leaks, specs leaks and some renders, it’s time to brush up on our Huawei P30 Pro memories. 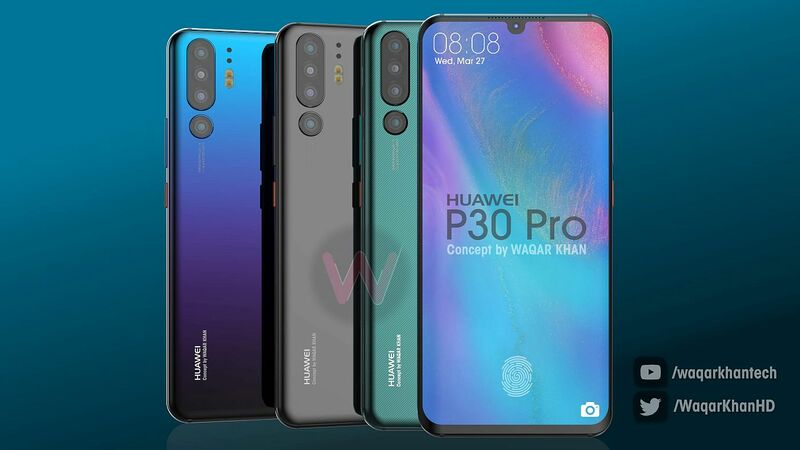 Last time we showed you the device, it was mixed with Huawei P30 images, but this time it’s all about the Pro. 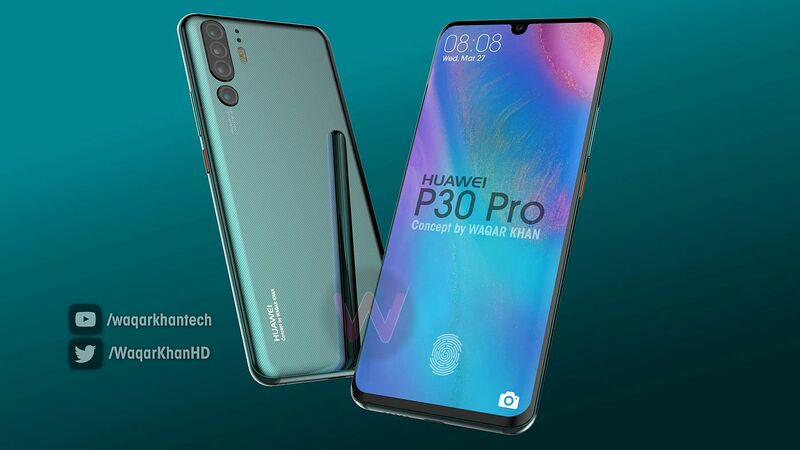 Designer Waqar Khan is on the case, having rendered the Huawei P30 Pro in full splendor with 4 back cameras. Unlike the last renders, this one has separated modules for the camera. There’s a main triple cam shooter and a fourth cam below it. The selfie camera is embedded within one of those teardrop notches, while the flash doesn’t appear to be as generous as the one seen on Concept Creator’s design. This feels like a OnePlus 6T with curvier side edges of the screen and a camera upgrade. 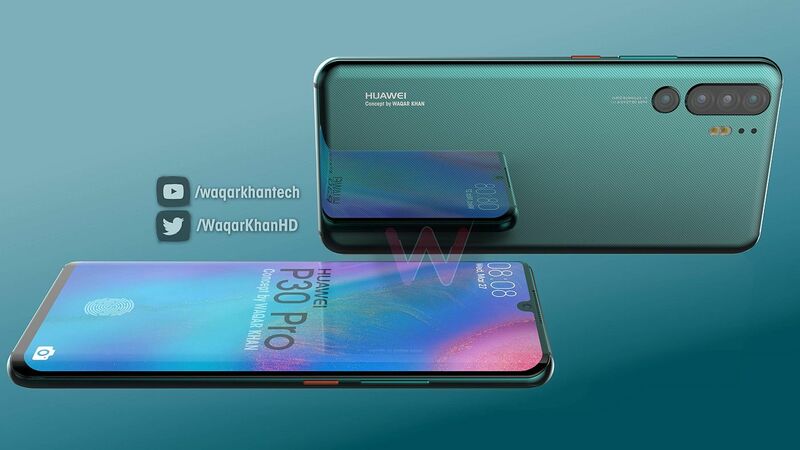 The dotted texture below the glass of the Huawei Mate 20 Pro is here to stay, although the dots seem to have turned to lines. The fingerprint scanner is embedded in the screen and overall this feels like the passage from Galaxy S8 to S9: minor edge cuts and a camera bump. 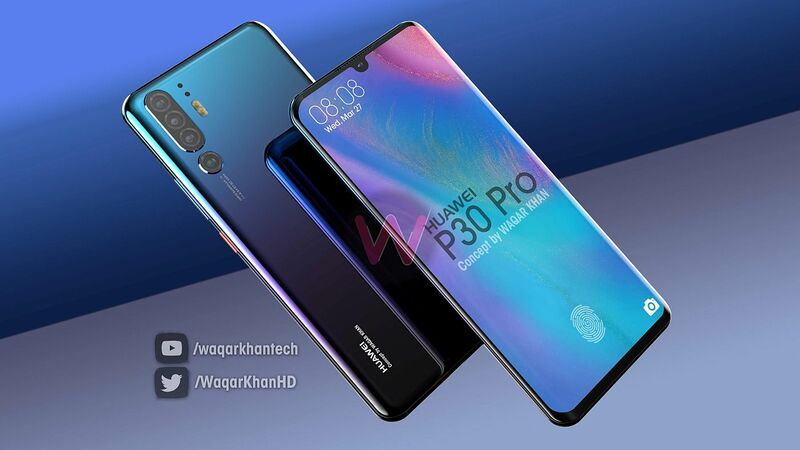 Not sure if this is enough to entice people to buy the Huawei P30 Pro, since the Huawei Mate 20 Pro is still pretty much a beast. 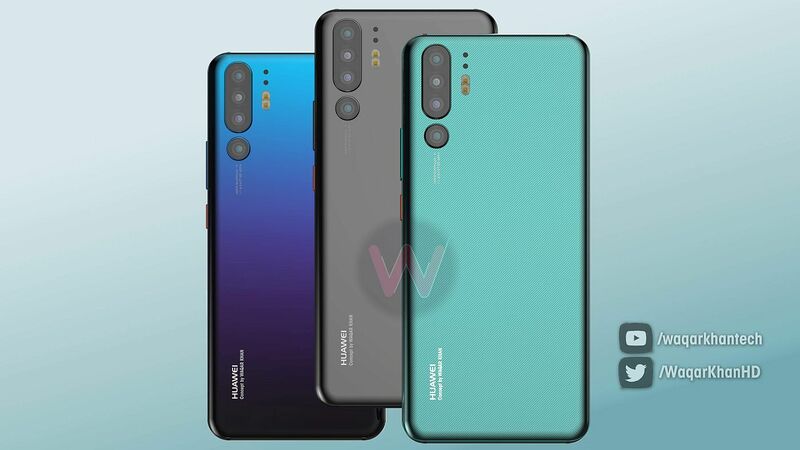 Kirin 980 is part of the package and I wonder what the triple camera plus fourth one can do. 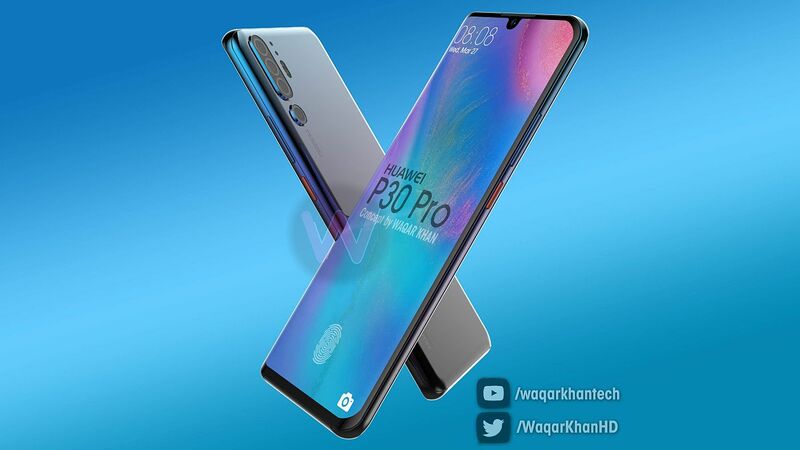 Basically, the device seems to remain close to a 6.3 inch or 6.5 inch diagonal and I don’t expect any crazy 6.7 inch beast.